Fort Bend County is a great place to live, work and raise a family, and according to the Fort Bend County Republican Party (FBCRP), that success is due in large part to the Republican leadership that has led the county to achieve these milestones. In an effort to keep Fort Bend growing in the right direction, the FBCRP has developed a campaign designed to support Republican candidates in the upcoming November election and keep strong Republican leaders in office. 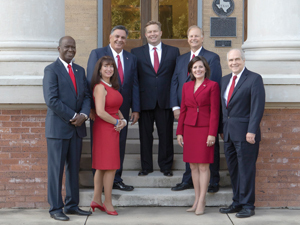 Better Led By Red is the campaign designed to promote conservative governance, and on November 6th, seven judicial candidates are on the ballot with the intent to serve Fort Bend with traditional Texas values – family, honesty, opportunity for all, limited government and principled, innovative leadership. In other words, these candidates believe Fort Bend County is Better Led By Red! Three judges – The Honorable Chad Bridges, The Honorable Ken Cannata, and The Honorable John “Hawk” Hawkins – are seeking to continue their service to Fort Bend County. The District Courts handle serious felony cases including crimes against children and the elderly, aggravated robbery and capital murder, along with significant civil cases including family law. Civil case jurisdiction in District Court is the widest range of all of the trial courts. Examples of civil cases heard in District Court include wrongful death, personal injury, commercial litigation, medical malpractice, Real Estate actions and breach of contract claims. Family law cases include divorce, child custody and support proceedings. A resident of Fort Bend for over 15 years, Judge Bridges has served on the bench in the 240th Judicial District Court for three years. He spent 22 years as an Assistant District Attorney trying hundreds of cases, and Judge Bridges is the only candidate for this position with judicial experience. 2012 Chad and Claudia Bridges, Volunteers of the Year – Pecan Grove Gators of the Fort Bend Youth Football League. 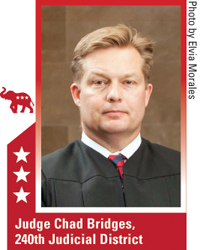 For more information, visit judgechadbridges.com. A 25-year resident of Fort Bend, Judge Cannata has served 12 years on the bench, including 10 years as Justice of the Peace Precinct 3. 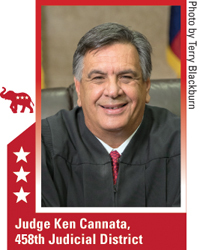 In 2017, Judge Cannata was appointed Judge of the 458th Judicial District Court by Texas Governor Greg Abbott. “Judge Cannata’s knowledge and experience will be invaluable as Judge of the 458th District Court,” said Texas Governor Greg Abbott. With Judge Cannata, service and success go hand in hand. “The definition of success in life is really one of significance – the significant difference our lives can make in the lives of others. The significance doesn’t show up in your resume or list of achievements; it’s found in the hearts and lives of those we’ve come across who are in some way better because of the way we lived our lives. I have been fortunate to have had the opportunity as a coach, mentor and judge to positively impact the lives of those whose paths have crossed with mine. For more information, visit kencannata.com. For the past four years, Judge Hawkins has served as the Associate Judge for the 268th and 434th District Courts. A 12-year resident of Fort Bend, Judge Hawkins has presided over hundreds of felony criminal, civil and family law cases since being appointed to the bench. 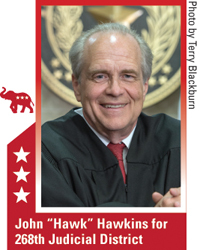 “I am proud to endorse John “Hawk” Hawkins for the 268th District Court. Judge Hawkins has the proven judicial experience and integrity that Fort Bend County voters deserve,” said John Zerwas, M.D., Texas State Representative, House District 28. For more information, visit johnhawkhawkins.com. Pol. adv. paid for by the Republican Party of Fort Bend County and not authorized by any candidate or candidate’s committee. www.fbcgop.org. Four candidates – Judge Harold Kennedy, Tricia Krenek, Amy Mitchell and Dean Hrbacek – are seeking to serve as County Court at Law judges. The County Courts at Law handle juvenile cases, misdemeanors, probate, guardianship, mental health cases and condemnation cases. Additionally, County Courts at Law hear civil cases up to $200,000. Serving 19 years as a Fort Bend County Associate Judge, Harold Kennedy has resided in Fort Bend for over 30 years in Pleak. Judge Kennedy has presided over tens of thousands of cases in the County Courts at Law of Fort Bend and was instrumental in clearing the backlogs of the county courts during his tenure. “If the most important ingredient in a good judge is trustworthiness, then the voters are fortunate to have Judge Kennedy. The trust Kennedy has with people was earned by virtue of his work. All you can ask of a judge is to follow the law and work hard. Judge Kennedy has shown both of these characteristics and more,” said Fort Bend County District Attorney John Healey. Presiding over numerous cases involving young people, Judge Kennedy is passionate about our youth. “Helping juveniles through judicial guidance is important to me. I have had the chance to show juveniles how to leave their delinquent conduct behind and get back on the right track. Most of them have done just that. I’ve committed myself to our community’s youth. All of the activities and organizations in which I am involved are for the benefit of and support of our youth. They need people vested in them because they are our future. 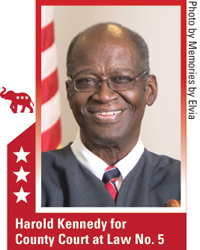 Visit haroldkennedyforjudge.com for more information. 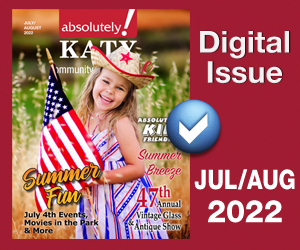 A seven-year resident of Fulshear, Tricia Krenek has served as a Fulshear City Council member for four years, as well as Fulshear Mayor Pro Tem. An attorney with Krenek Law Offices, Councilwoman Krenek studied under the late U.S. Supreme Court Justice Antonin Scalia. 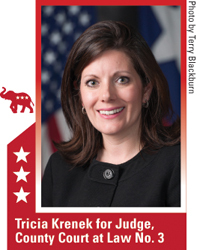 “Tricia Krenek is a conservative leader who has all the qualities we want in our judges: commitment to upholding our constitutional system and to ruling firmly but fairly on all matters that come before her,” said John Zerwas, M.D., Texas State Representative, House District 28. Service is important to Krenek, and serving as a County Court Judge exemplifies her commitment to community service. “I am eager to share my uniquely qualified experience and talents as a small business owner, attorney and public servant with the residents of Fort Bend County as I continue to follow the path of public service with focused leadership. For more information, visit triciakrenek.com. For 38 years, Amy L. Mitchell has called Fort Bend home, and she has served the residents of Sugar Land for nearly eight years as City Council Member, District 3. An experienced attorney, Mitchell has handled over 2,000 litigated cases throughout her law career. A.V. Rated by Martindale Hubble. 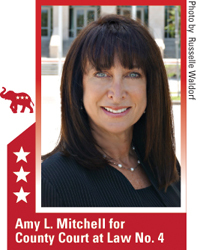 “I am honored to endorse and support Amy Mitchell for Judge of County Court at Law No. 4. 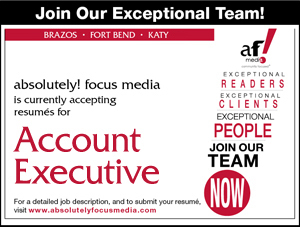 I have known Amy for many years and have always been impressed by her work ethic, knowledge, experience and dedication. We need judges of this caliber on the bench in Fort Bend County,” said Vincent Morales, Fort Bend County Commissioner, Precinct 1. Visit amymitchellforjudge.com for more information. The Hrbacek’s moved to Fort Bend County in 1987 and live in Sugar Land. Hrbacek served Sugar Land as a Mayor and Council Member for nine years. Hrbacek was instrumental in the creation of Sugar Land Town Square, in reducing city taxes by 33% and in bringing the University of Houston Sugar Land campus to Fort Bend County. Board Certified in Tax Law, Texas Board of Legal Specialization. 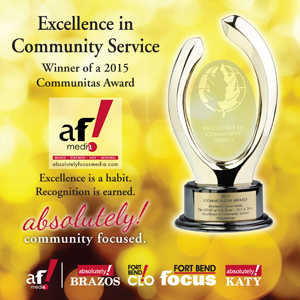 Ex-officio Board Member Fort Bend Cares and the Fort Bend Chamber of Commerce. 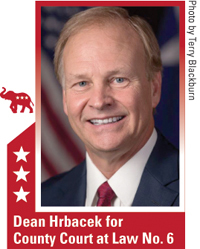 “Dean Hrbacek has every character trait that we want in a true conservative Texas judge – integrity, fairness, a servant’s heart and a commitment to justice. He has worked hard to help bring growth, success and a bright future to Fort Bend County, and our future will be even brighter with him serving on the bench. He has my vote, my support and my highest recommendation for this office,” said Rick Miller, Texas State Representative, HD 26. For more information, visit DeanForJudge.com.